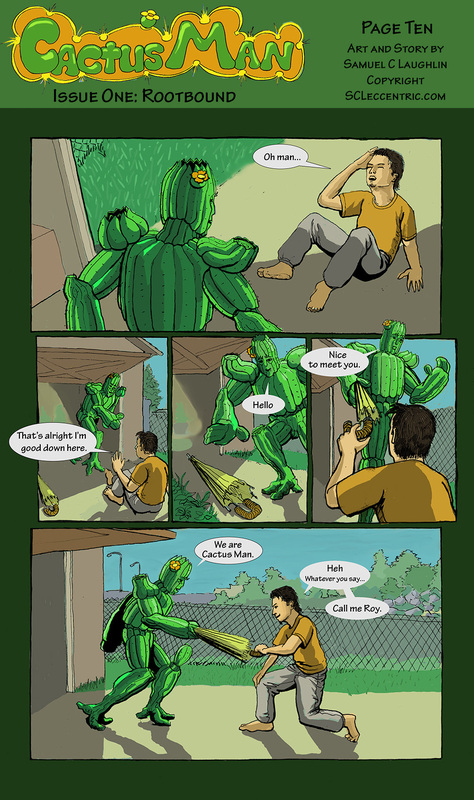 Here are pages 10 and 11, in which Cactus Man helps Roy up, and they have a cup of tea. When you say it in words like that, it doesn’t sound very exciting. But this is where things start picking up. 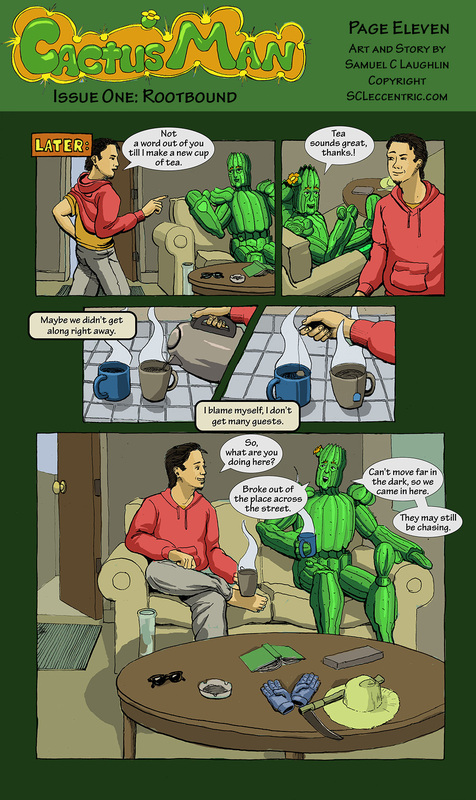 We have our two main characters, together for the first time. This is where the journey begins. I swear, I’m going somewhere with this. Rambling aside, here are the pages. Enjoy. See you next week with more pages! Very nice. Civilized, almost like Brits with the umbrella and tea. Carry on. Thank you *sips tea*. Quite right.